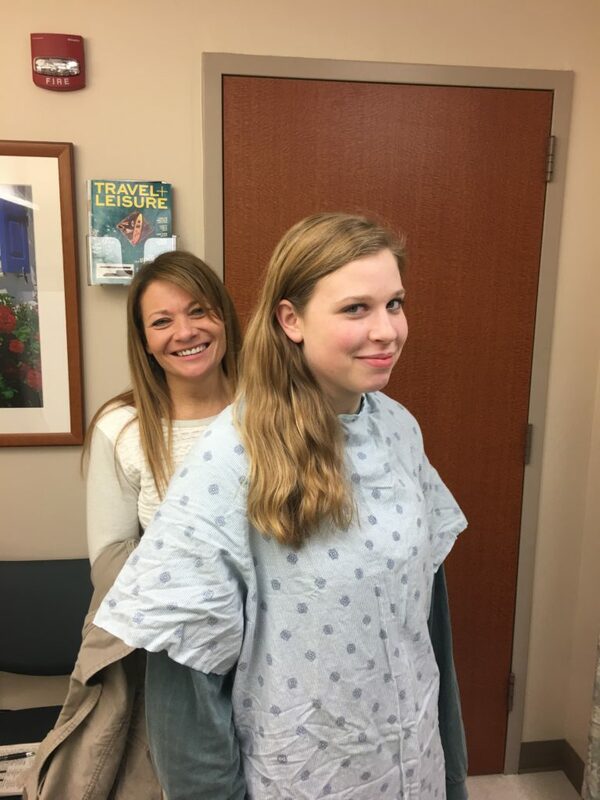 The biopsy confirmed my 19-year old daughter, Emily, has Osteosarcoma – bone cancer. It still doesn’t feel real. Last night’s CT chest scan results came back inconclusive. There are some small, pulmonary nodules that showed up on her scan. They could be caused by many things like pollution, allergies, or cancer. But they are so small, they won’t take a biopsy. Instead, they will use it as a baseline and see what happens over three months. They want to be sure no new nodules appear. They will check again in three months. That is down the road. Plenty to focus on before then. One of the biggest blessings this week is that two months ago I decided to surprise Sue and fly Ali down for three days to visit. And by God’s design, she came on Wednesday, our first day at MD Anderson. It has provided more support and joy during these difficult three days. We woke up this morning to snow on the ground. Snow in Houston! It hasn’t happened in years. It was a reminder of home and all of our Rochester friends who are praying for us. God gave us the grace to get through another day. And we rest in the reality that he will give us more tomorrow. The staff at MD Anderson is amazing. They pretended to never get tired of my questions. We had a friend whose daughter is suffering from brain cancer sit with us through the surgery. We had a family that Sue has been babysitting for visit us in the hospital in the afternoon just before another appointment (picture below). They were able to do a biopsy with a needle instead of opening her knee. They were prepared for an open biopsy, but the needle gave them a sufficient specimen, so the surgery was pretty quick today. Although we didn’t get a clear CT scan report – at least there was nothing obvious or clearly cancerous. 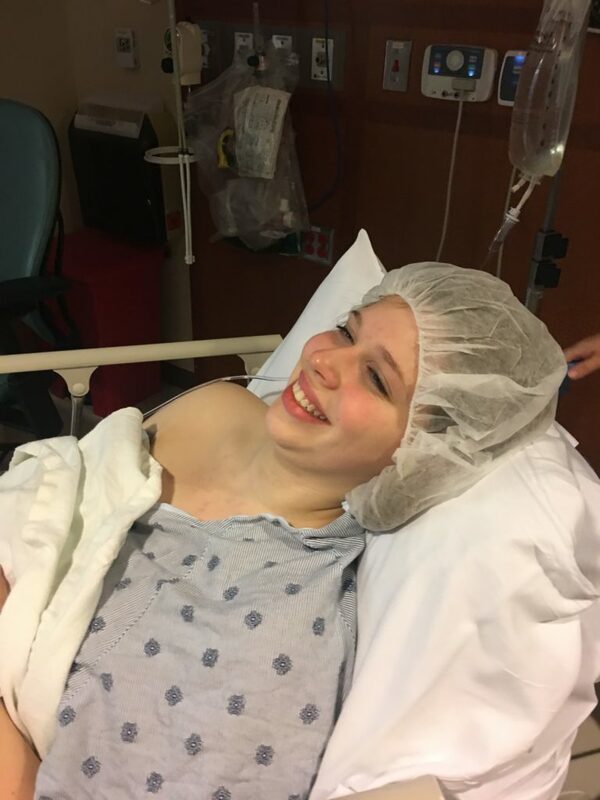 Emily continues with her sense of humor by suggesting that if amputation ends up being the best option, she is wondering if she will get a 50% discount on pedicures. Love her sense of humor… That is not our only option, but one of three options. The best news of the day is that the doctor feels that amputation is not required. She believes because of the type and size of the tumor, it is an option to remove the bone and replace it with metal. She will keep her kneecap and hopefully, she can eventually walk without a limp. Again, So sorry you are going through this. However, I know God will use this in an amazing way. He never wastes our pain. It is also such a blessing to know he is guiding each step. Your daughter is beautiful and will be even more beautiful as she grows in grace through this bump in the road. Love you David. We will be praying here in Jersey! My wife and I have been away on business all week and I didn’t check this e-mail account until now. 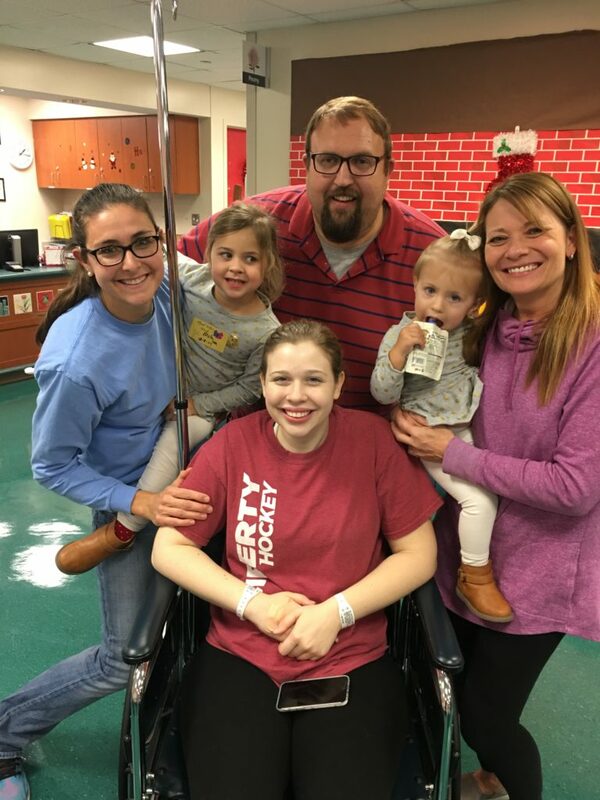 We are so sorry to learn of your daughter Emily’s unexpected pain and resulting osteosarcoma diagnosis but relieved to know that you are strong in your faith and have gone to the nation’s top Cancer Treatment Medical Center in Houston. You are in good hands…both spiritual and medical… and we will join the prayer-chain together with the others going forward! The Connelly’s are praying for y’all in DC! I know it’s not easy being patient and waiting for answers in those circumstances. So I specifically pray for persistence, peace, and patience for you and your family. Dave and I are praying for her and you guys! So sorry you are going through this! Our thoughts are with you and your family as you navigate through this difficult journey. It seems like you’ve raised an amazing daughter, ready to fight this head on with grace and a smile on her face! Her positivity and faith through this is uplifting. Stay strong and positive with her and know there are so many people thinking of you, praying for you and supporting you. Continuing to pray. God’s gentle fingerprints are all over each thing on your list. Your list of blessings, whether considered big or small, testifies to God’s care for every detail. Please tell Emily I am praying for her and cheering her on through this. I felt like I’d been hit in the gut with Thor’s hammer when I read your post on Facebook asking for prayer for Emily. I’ve shared the request with every Christian I know. Between top-notch medical care and an enormous prayer ‘circle’ lifting up prayers for Emily’s successful treatment, healing, and recovery, not to mention her positive attitude and outlook and everyone around her supporting and encouraging her, I have no doubts there will be a full remission and cure, and she *will* walk again without a limp. With God, all things are possible. You guys are doing a great job of taking care of her. You got her the medical help she needs, you didn’t delay. You are a wonderful support system for her. She has her vitality, strength, sense of humor & most importantly you all have Jesus. He is good. Sending more love & prayers for all of you. We continue to pray. Praise God for the wonderful people who are surrounding you all during this time and the many more who are praying for you from afar. We believe in miracles and praying Emily’s life story will include this one of complete healing and many more in her long life. Blessings to you all! I grieve with you and Sue for this news. Praying that “The God who heals” will show Himself mighty in your life and the life of your lovely daughter. Hi. This is Jill Maxwell, Audrey Lively’s mom. Jack and I are praying for your sweet family. Cancer is a mysterious, guy-punching, AWFUL disease. I am so sorry this is happening in your life. MD Anderson is a wonderful place to be to face off this “dragon”. We will be offering for sale the same print we made when Myla was in NICU to help with your parking expenses. I hope you don’t mind. Audrey, Josh, Myla and Jacqueline adore your family so now you all are our family. Our endless prayers for protection, strength and courage.